Hello everyone!! Jenn here today sharing this super fun keepsake folio using the amazing Tutti Designs Dies! For my folio I used only one die but 11 times!! 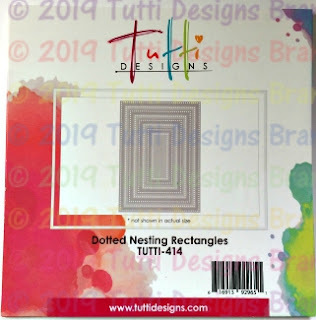 I love the nesting die sets from Tutti because they are the perfect way to add texture to any project! 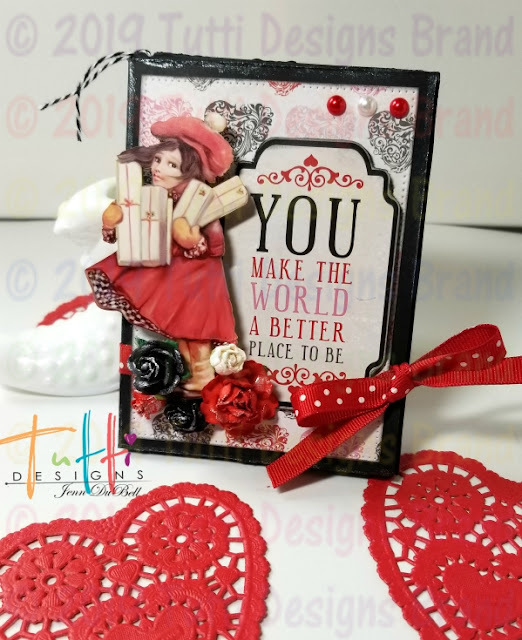 To Create the base of this card you will need one sheet of 12 X 12 solid cardstock. 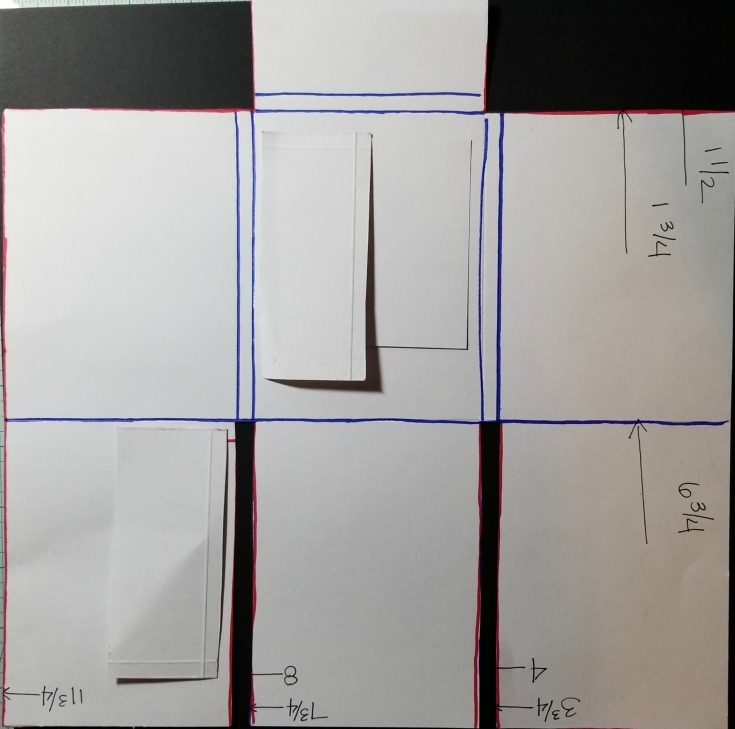 I used black but you can choose any color to coordinate with your project.First cut the the 12 X 12 to 11 3/4 X 11 3/4. 3 3/4, 4, 7 3/4, 8. Turn paper once clockwise and score at 1 1/2, 1 3/4, and 6 3,4. Next the paper will be trimmed out to create this. Next we will trim . This is the result after trimming. A step by step for the trimming is available on my blog plus my full supply list HERE. Next Fold on all score lines as follows. Bottom three flaps fold up and burnish,and fold and burnish both score lines on top to create a spine on each side. Do the same for the flap, folding down. 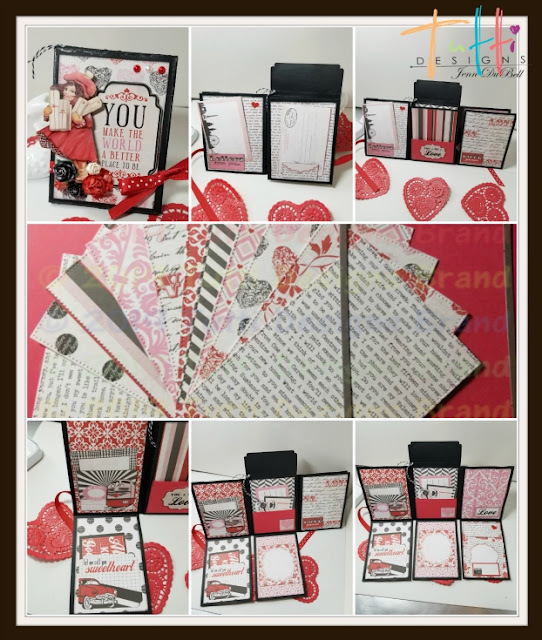 Using the largest Dotted Nesting Rectangle die, cut 11 panels. 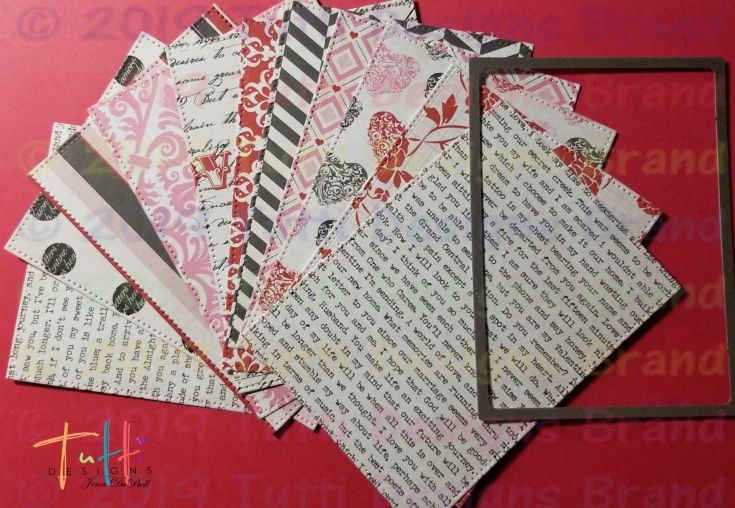 Use assorted coordinated papers. All of my panels were inked on all edges using black distress ink. Start on the inside and adhere all of the panels, decorating with stickers and pockets. 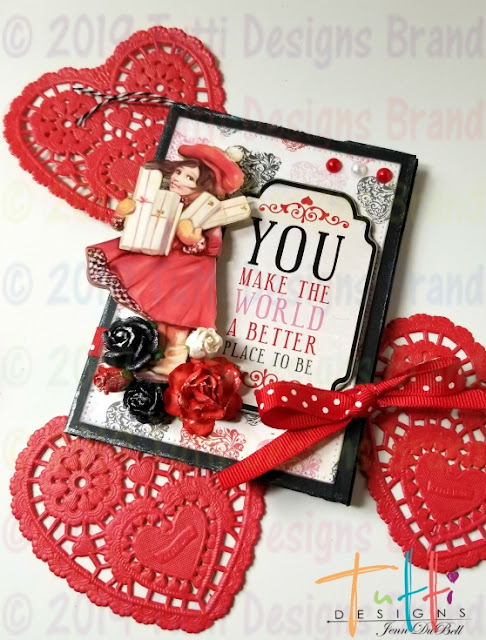 Add ribbon to close by adhering around back and under the front die cut panel. Add flowers, sentiment and other embellishments and you have a wonderful keepsake for your Valentine! My folio includes lots of pockets and places to tuck photos and keepsakes of my special day with mine!